Most OBD2 readers available on the market are programmed to suit a variety of makes. This is a benefit if you work on a lot of different cars from various manufacturers, but you may run into an issue if you only work on one model. Often, manufacturers have specific codes they program into their cars, and not every OBD2 reader comes pre-loaded with those obd codes list. Instead the user will receive a generic code system. Added to this concern is some OBD2 models are not user-friendly, able to install on all computer systems, and have varying capabilities in code reading. When you make a purchase for a high-quality OBD2 reader, you want to know exactly what you’re getting. ​While you can sometimes pay more to have a code reader equipped with model specific codes, it’s not a possibility on all of the tools. Today we are singling out Ford as a maker, and helping you to decide which OBD2 reader would help you the most if Ford is the only model that you work on. 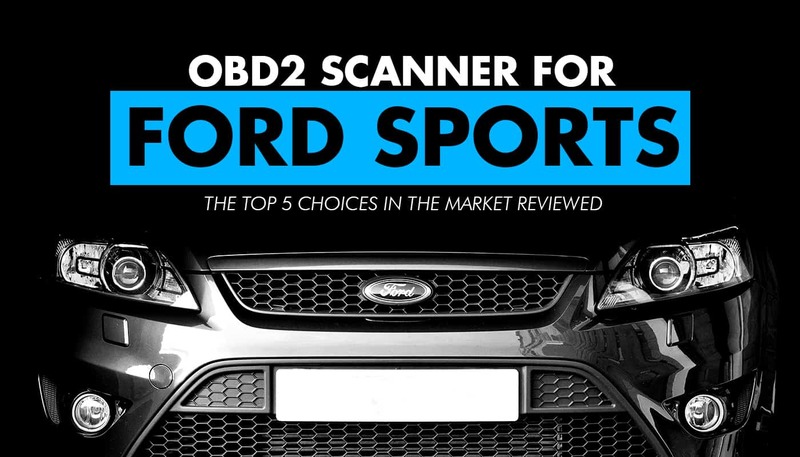 We’ve reviewed the top five OBD2 readers marketed to Ford below. No other OBD2 reader allows as many diagnostics and customizations. It also works on Lincoln and Mercury models. Backward compatible with most 16 pin Fords. Playback is a nice feature for reviewing data. Tool can define whether a code is active or historical. The tool is capable of reading and analyzing multiple systems in a variety of vehicles. Service reset codes enable you to do more mechanically from your home. Allows adjustment of engine systems that affect performance. Ability to read many codes. Data is provided in an easy-to-read format. Performing O2 tests with live data display can help pinpoint issues. The Ford VCM 2 dealer package is a dealer level tool. What that means is it allows the performance of complex diagnostics in addition to reading the codes. Once you connect the device to your laptop or computer, you can program your modules, keys as well as set or adjust the parameters on each. You can add the flight recorder to enable recording of real-time engine working, or wirelessly connect with a laptop to allow for remote work. While it is an expensive machine, manufacturers took measures to protect your investment. It’s installed with a SmartPower Management system that helps protect your device in unfavorable conditions, and is equipped with shock-resistant ends to help prevent fall damage. In addition to reading fault codes, it allows access to dealer-level injector coding, steering angle resets, key programming and more. It allows you to easily read and clear some codes from your vehicle. Depending on the model, you may be able to clear engine and system codes. There is a subscription fee of $839.00 annually. ​No other OBD2 reader allows as many diagnostics and customizations. ​It also works on Lincoln and Mercury models. ​Backward compatible with most 16 pin Fords. ​Higher cost than other OBD2 readers. This is the upgrade for the DS708. It contains codes, live data, active testing capabilities, ECU information and more. It also provides service reset buttons for your oil, TPMS programming, EPB service, DPF regeneration and SAS calibration. This unit also includes the Smart AutoVIN function and cloud capabilities with MaxiFix. It’s capable of bi-directional functioning to scan operations such as Anti-lock braking and Restraint systems. For the cost of the machine, we wish it came with a little more diagnostic tools. Some models might not be compatible, making the tool unable to scan airbag, emissions, traction and alarms. Autel Maxidas DS808 is compatible with over 80 models to include Jeep, Mazda, Acura, Bentley, Dodge, Chrysler and Nissan as well as several European and Chinese models. Optional subscription and update fees that range in price-contact the manufacturer for details. ​The tool is capable of reading and analyzing multiple systems in a variety of vehicles. ​Service reset codes enable you to do more mechanically from your home. ​Purchasers only have one year from date of purchase for free upgrades. After that, they must purchase upgrades at a considerable cost. ​The interface can be difficult to navigate. ​Users report that the scan tool and other functions don’t operate as well without updates. Requiring the ELM327 interface, Toad allows you to do all the standard code reading and diagnostics these machines provide. What makes Toad unique is that it includes the capability to pinpoint broad problems such as your ‘check engine light’ and pre-read pending codes. You also have the potential to customize your system performance on select models. It does allow freeze frame, and fault clearing and reading stored faults.It works with most car manufacturer models built after 1996. While you can clear some codes with the Toad scanner, engine system codes may not be cleared. The interface is easy to use and the software displays data in easy to read formats. 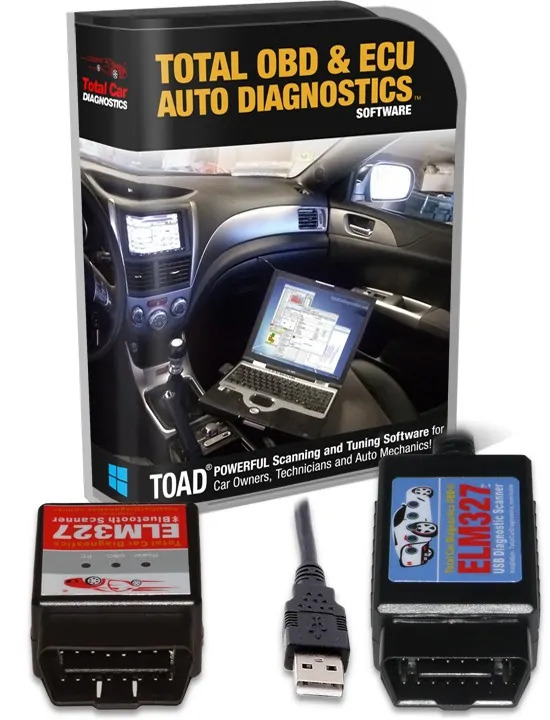 Bear in mind that while Total Car Diagnostics will sell you the adapters (wifi, bluetooth or cable) this is only a diagnosis software and you need to run it on your laptop or garage's PC. No subscription fee noted on website. ​Allows adjustment of engine systems that affect performance. ​Ability to read many codes. ​Toad software is not compatible with Mac systems. ​The system is incapable of reading ABS or BCM. ​Not compatible with Chevrolet, Dodge/Ram, GMC, Jeep, Land Rover or Tesla. Launch X431 has the ability to diagnose engine, ABS and Airbag four systems and transmission. It can clear and reset codes, store a streaming graphic of information, and has playback capabilities to enable diagnosis. It can also test your carbon canister and oxygen sensor. The full color screen makes the data easy to read, and you can graph multiple data sources at the same time. This tool is compatible with Asian car models Suzuki, Honda, Mitsubishi, Nissan, Toyota, Mazda, Hyundai, Kia, Subaru, Lexus, Acura, Isuzu and Infiniti. American models include Ford, GM, Chrysler. European models are BMW, VW, Opel, Fiat, Land Rover, Audi, Jaguar, Porsche and Saab. ​The data is displayed in an intuitive manner and the software is easy to navigate. ​Playback is a nice feature for reviewing data. ​Tool can define whether a code is active or historical. ​Only works with cars manufactured in 2006 and up. ​Can not clear malfunction codes that originate from the engine, transmission, ABS or SRS. ​Registration seems to be permanent to one user. You won’t be able to pass this along or share it with friends. The Foxwell NT624 scanner is compatible with a wide range of vehicles and over 61 European, Asian and American manufacturers to include Chrysler, GM, Ford, Australian Ford, Lexus, Kia, Hyundai, Mazda, Bugatti,Jaguar, Land Rover, Volvo, Porsche and more. It supports 10 test modes and can read and clear codes, provide the user with live data and perform O2 tests. The interface is very user friendly and allows for a one-button auto scan that will read systems in the engine, ABS, electronic parking brake, EPS, heat and air systems and transmission. Displays of live sensor data are available in text or graph format. Some models may allow oil service reset and ABS light reset. ​The data display in this software can be a little tricky to navigate. It’s not as user-friendly as some other OBD2 read-outs, and you may have to spend some time learning to use the interface. ​Data is provided in an easy-to-read format. ​Performing O2 tests with live data display can help pinpoint issues. ​Users report problems updating the tool, which effects performance. ​Some cars won’t connect, though they are stated as compatible. ​​The Ford VCM 2 offers the best product for the money. It reads a broad array of codes, both generic and manufacture, and allows users to make dealer-level adjustments to their engine systems. The tool is built with safety features to help ensure it’s durability, and data updates are included in the subscription. If you need a tool that can aid in diagnosing any problem you may be experiencing with your vehicle, this one can do it easily. Due to the annual updates, the information the OBD2 reader displays is always current. The OBD2 scanner also includes a lifetime warranty and your first year dealer’s licensing free with purchase. The manufacturer provides customer service to the purchaser and has a tech support number to call should you have questions. The Autel Maxidas DS808 is our second choice. While it doesn’t come with as many diagnostic codes as the Ford VCM 2, it’s a close second. The ability to live Cloud store is a great touch and makes it worth a second look. The variety of reset buttons is nice if you find a problem and fix it, you don’t have to make a trip to a dealer or mechanic to reset the codes. Just be sure to check carefully that the model you are planning to use this on is compatible with the device, as reports have been varied for effectiveness across brands. Whichever OBD2 reader you decide to use for your Ford, remember that your vehicle must be OBD2 equipped for them to work. This generally means a vehicle manufactured from 1996 to current. Always double check the stats listed on the OBD2 reader website to ensure your vehicle will be able to sync with the device, because this date varies.